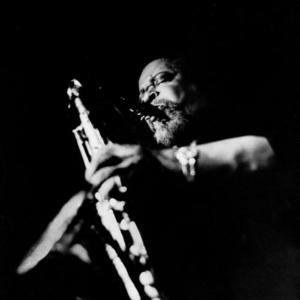 Eugene "Jug" Ammons (April 14, 1925 - August 6, 1974) was an American jazz tenor saxophone player, and the son of boogie-woogie pianist Albert Ammons. Ammons began to gain recognition when he went on the road with trumpeter King Kolax band in 1943, at the age of 18. He became a member of the Billy Eckstine and Woody Herman bands in 1944 and 1949 respectively, and then in 1950 formed a duet with Sonny Stitt. His later career was interrupted by two prison sentences for narcotics possession, the first from 1958 to 1960, the second from 1962 to 1969. Ammons began to gain recognition when he went on the road with trumpeter King Kolax band in 1943, at the age of 18. He became a member of the Billy Eckstine and Woody Herman bands in 1944 and 1949 respectively, and then in 1950 formed a duet with Sonny Stitt. His later career was interrupted by two prison sentences for narcotics possession, the first from 1958 to 1960, the second from 1962 to 1969. Ammons and Von Freeman were the founders of the Chicago School of tenor saxophone. His style of playing showed influences from Lester Young as well as Ben Webster.